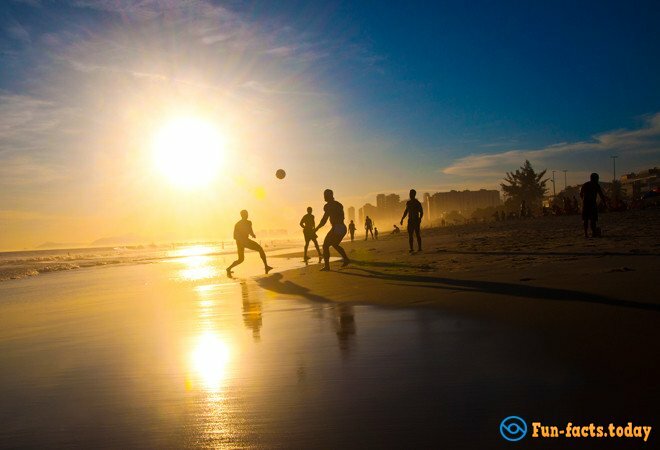 Brazilians are obsessed with football, not only during the World Cup but always! It is believed that the victory of the national team increases efficiency of the working. 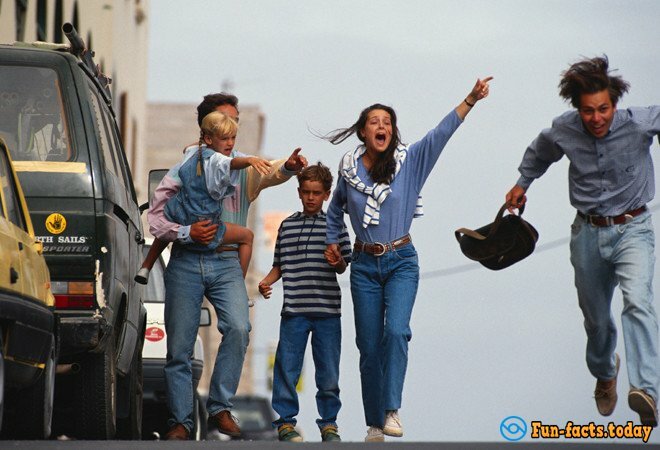 On weekends, everyone runs to the beach to play football. And if you find yourself in a cafe during the broadcast of a football match, relax and forget about the rush: without exception, all workers become fans! 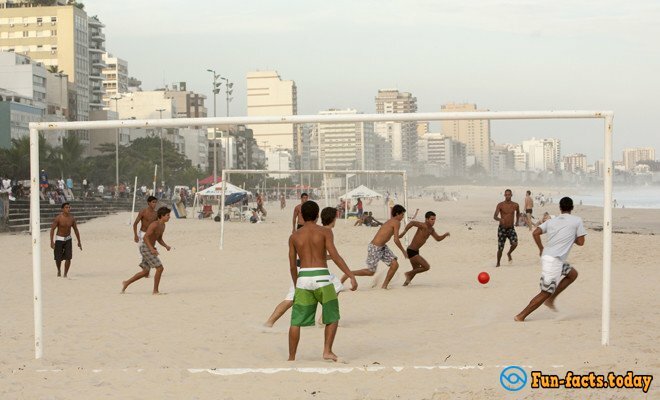 One of the favorite games of Brazilians is "Kipi-Appi," their special beach soccer. 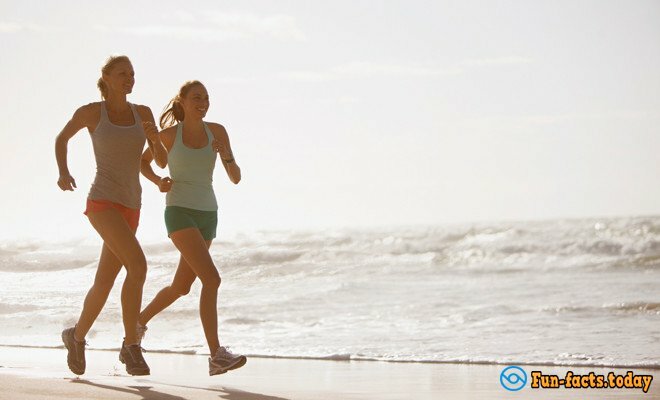 You need to throw the ball with bare feet as long as possible and do not to let it fall to the sand. 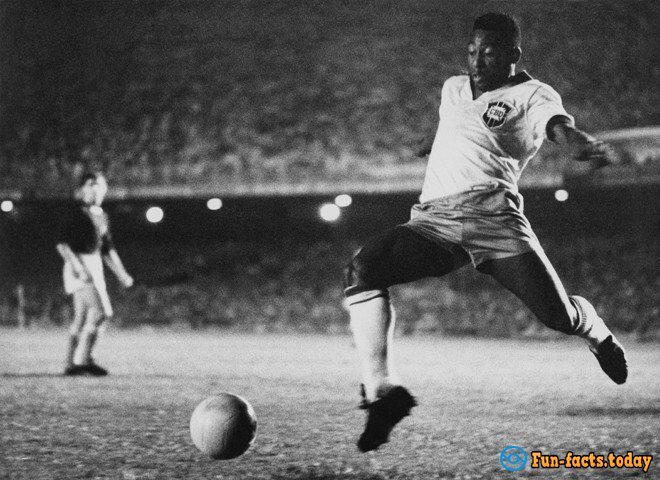 The National hero of Brazilians - Pele, one of the most influential figures in the world of football. It is believed that the majority of young Brazilians has learned to read and write only to read the biography of the great player, "My Life and the Beautiful Game," which he wrote in 1977. Less well known in the world, but no less beloved in his homeland is another football player, a contemporary of Pele - Garrincha. Born in a poor neighborhood, and with injured legs, he brought the team victory in the world championship in 1962. 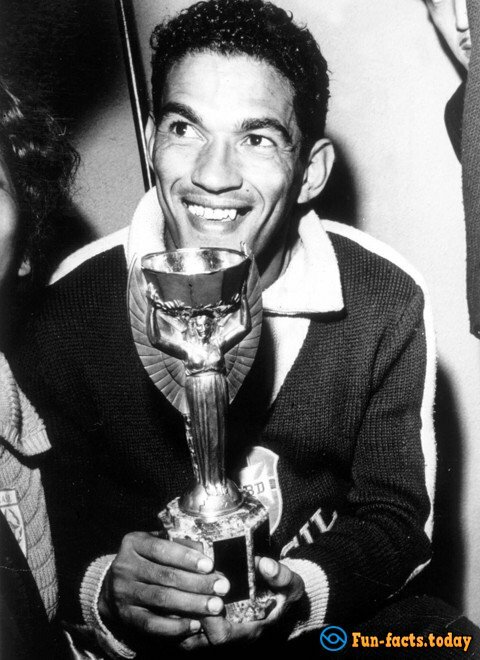 But unlike Pele Garrincha did not have ambitions and by the end of his life, he took to drink. Brazil is a country with high levels of crime. On Carnival's better to go without valuable things: the manual dexterity of local scams knows no bounds! People must be careful not only in the neighborhood of the favelas but also when using conventional ATMs. Local criminals have learned to quickly read information from the card and forge it. Before you know it, the money will disappear. Samba is the most popular Brazilian dance. It can be performed in solo or in a group. And thanks to the famous Brazilian Carnival samba is a unique dance of national holidays, during which literally dance all! It is a parade of local samba schools, which have organized a competition between the most expressive dancers and colorful costumes. Carnivals funded by crime barons, or, in the local, bisheyrus. The main dancers are residents of the poorest neighborhoods, the favelas. 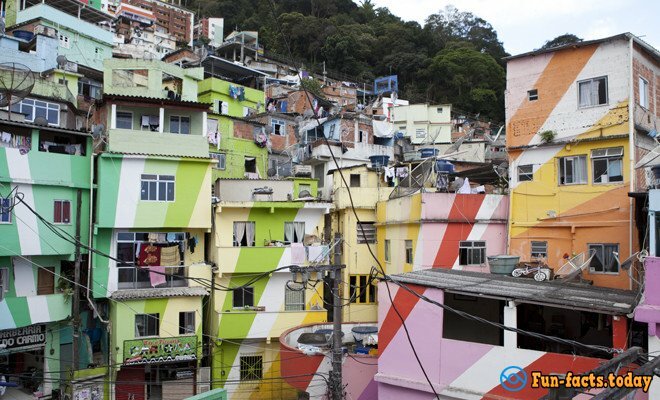 Favela, ie slums represent a conglomeration of shacks on the rocks. Residents of the favelas, as a rule, work on the dirtiest jobs. And all the crime bosses and drug lords can also be found in the slums. And they coexist with the richest regions. Football for the Brazilians is one of the few means (or at least hope) to escape poverty and achieve fame. 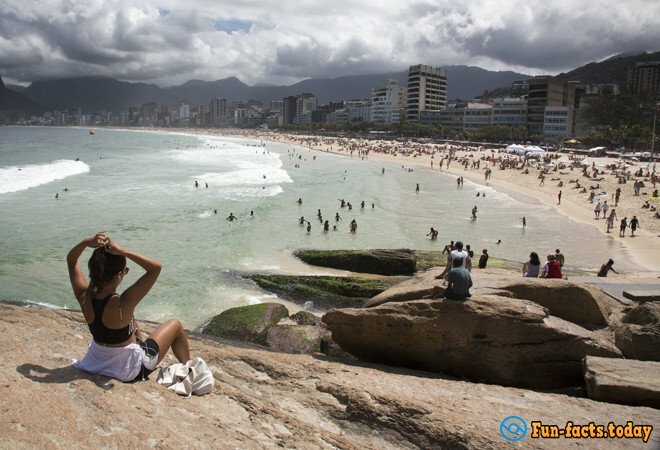 Standard and a favorite meeting place for Brazilians - the beach. It is good for everyone, from children to pensioners, for any purpose - from a business meeting to dancing. In Brazil, there is a cult of the body and beauty! Here you can see a huge amount of running and practicing sports (as a rule, on the coast), men and women. Plastic surgery in Brazil is a very popular way of improving the body. They are available to women with any income: on credit and installments. As a rule, Brazilians seek to increase breast or insert implants in the buttocks to make them more rounded and delicious. In the local clothing stores, you can find mannequins with the figure, the rear part of which is more impressive than those of Jennifer Lopez! Since the country's warm all year round, the most popular clothing is the swimsuit. They are sold everywhere, including on the beaches, where traders go with huge umbrellas hung with bathing suits and sarongs. 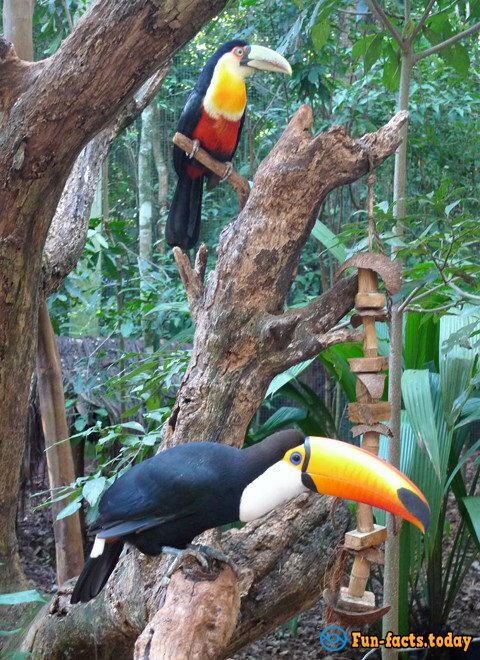 The easiest way to see the wildlife of Brazil is to watch the cartoon "Rio". Monkeys with hairy ears and a variety of parrots inhabit the local jungle. 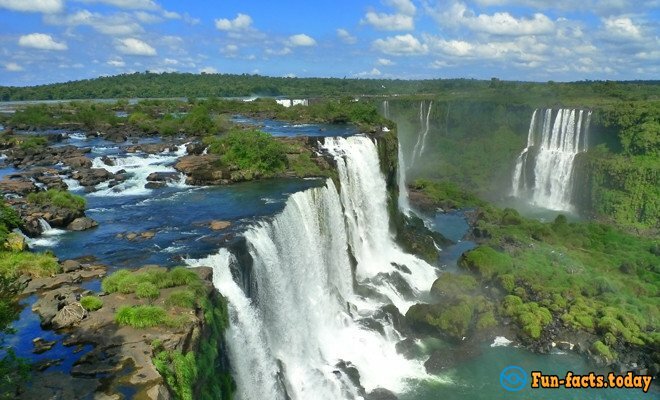 One of the natural attractions of the country is Iguazu Falls, which is on the border of Brazil and Argentina. In national parks with waterfalls inhabits another local animal - coati. 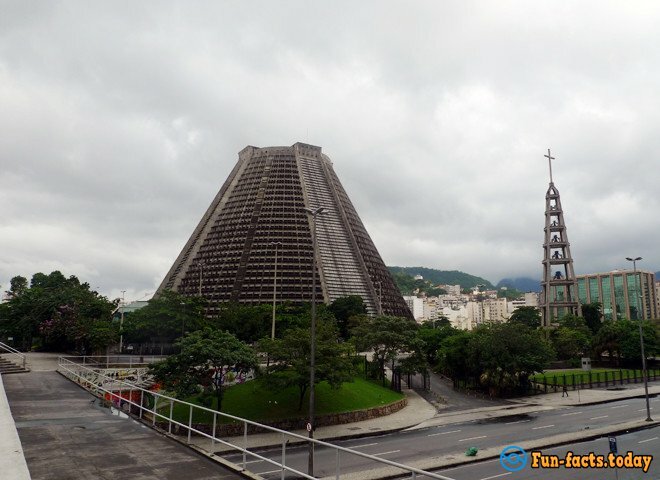 The main cathedral of Rio de Janeiro locals calls the "inverted bucket." The building included in the list of the most original churches in the world and in official sources is called a model of modernism. 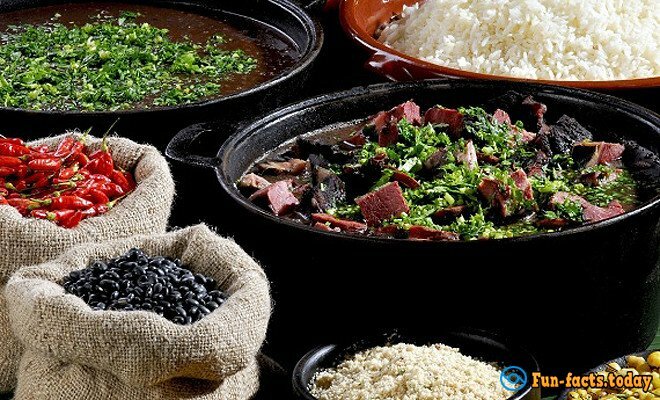 National Brazilian dish is the feijoada. Dish of the black beans and different kinds of meat, which is served with slices of orange, cabbage and pig's ears!